The name refers to the concentric circles of the chakras, that regulate the flow of energy in our bodies. Everyday day, more and more people become aware of and clearly perceive the constant flow of energy all around and within them. 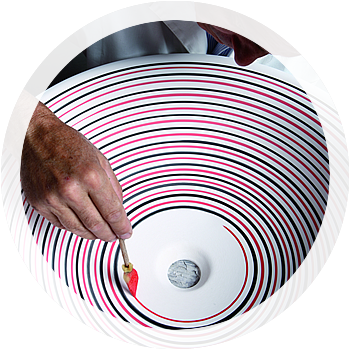 Concentric coloured circles, which give a trompe d’oeil effect in their ceaseless winding, are created using one of the most ancient tools for ceramic art, the lathe. 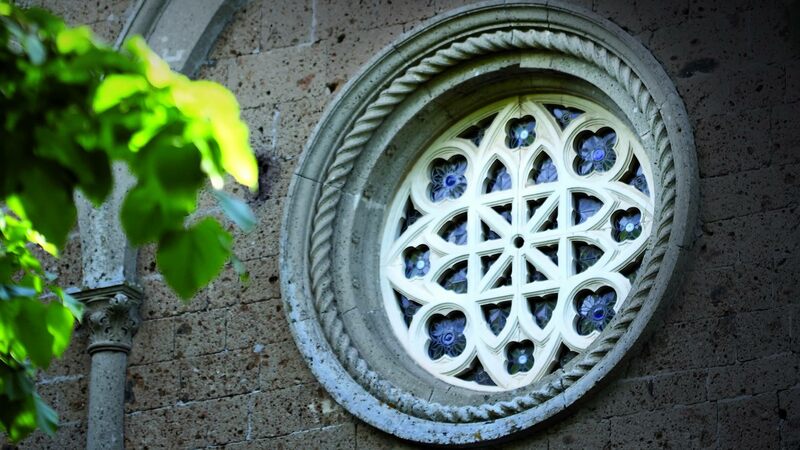 The lathe decoration on the wheel is typical of tableware manufacturing in Civita Castellana, which for decades has been one of the major centres of production. The technique applied to sanitary ware reveals the ability of the craftsman to calibrate the distances between the circles, from the edge to the centre of the washbasin, an ability which was acquired in the “Tableware school”.